Parchment is the skin of an animal which has been processed with a lime solution and stretched under tension. Parchment has unique structural qualities which differentiate it from paper, and it is usually positively identified with the assistance of a hand lens or microscope.In some cases, analytical testing should be considered due to the fact of some certain types of highly calendered papers misidentified with parchment during the visual examination process. 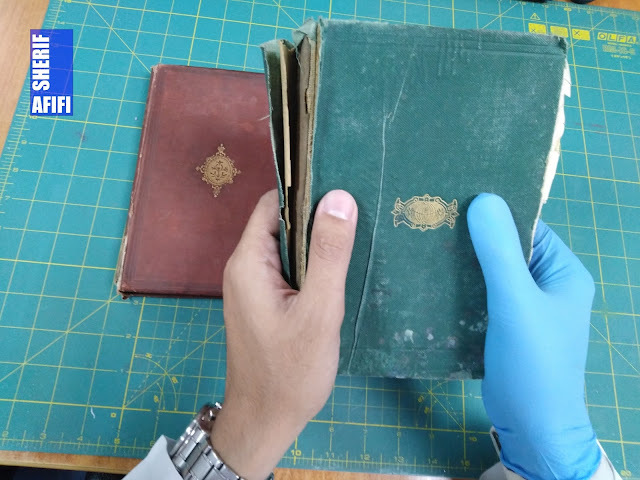 Parchment which is most commonly used as a writing surface and as a binding material in some cases; has a cultural and historical significance that makes it precious material that needs to be conserved and protected against future deterioration by specialized conservators. 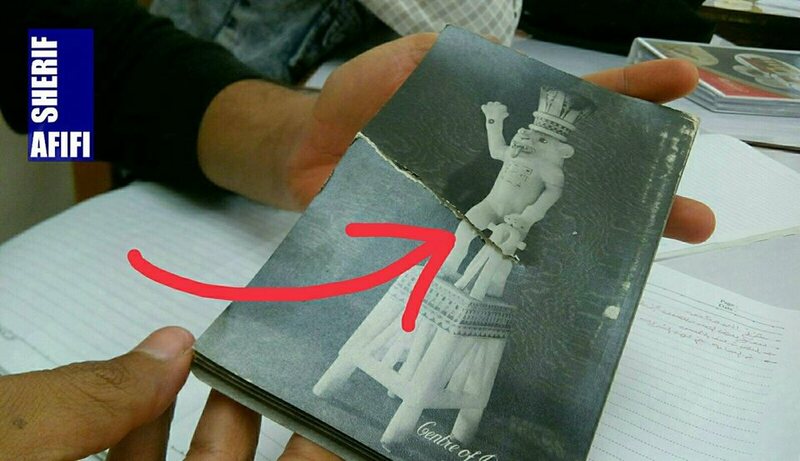 Profissional conservators usually take the responsibility of developing innovative treatment methods. 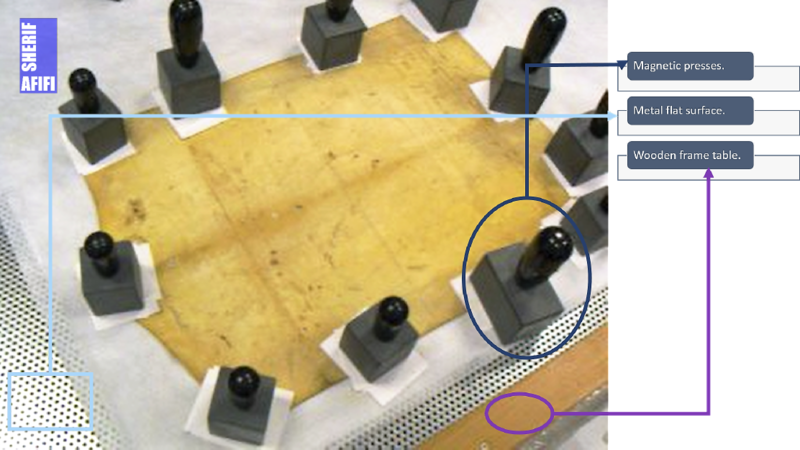 Parchment flattening magnetic table is one of the innovations that conservators developed and work with. 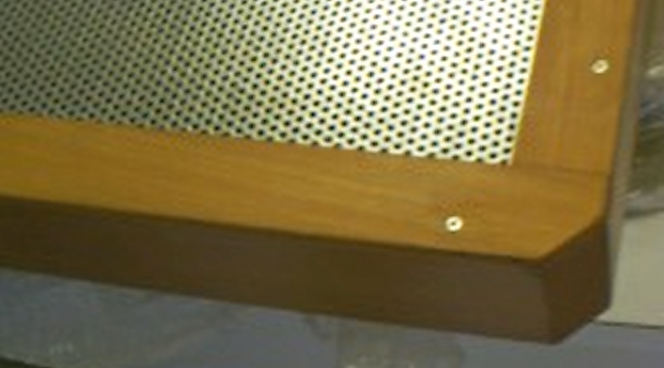 In the next few lines, I will explain how this flattening magnetic table works and it's mechanism. 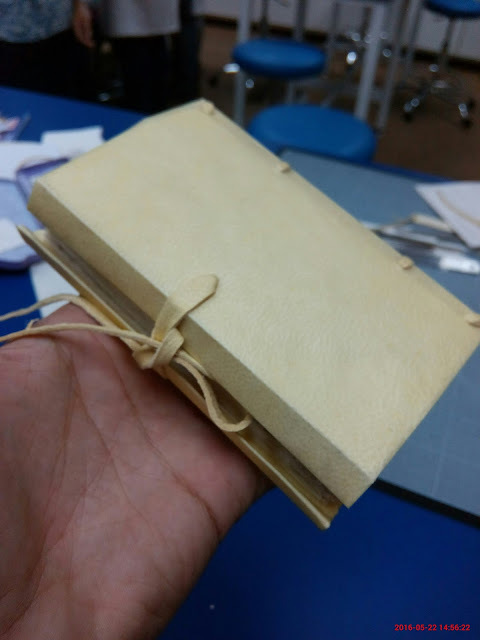 Disclaimer: Parchment is a very sensitive material, never ever try to deal with historical parchment materials unless you are well trained to do so, or under a supervision of a professional conservator. - Note that the Parchment or vellum is humidified in either one of the common safe humidification methods before applying flattening. 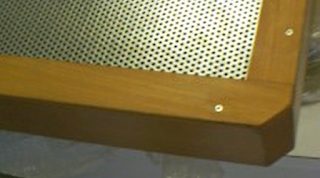 The metal (stainless steel) flat surface is mounted on a wooden frame table and the stainless steel surface is with holes or pens to allow a good ventilation to the parchment during the flattening process. Remember using Reemay® acid-free archival polyester tissue under the parchment (between the parchment and the stainless steel) during flattening process. 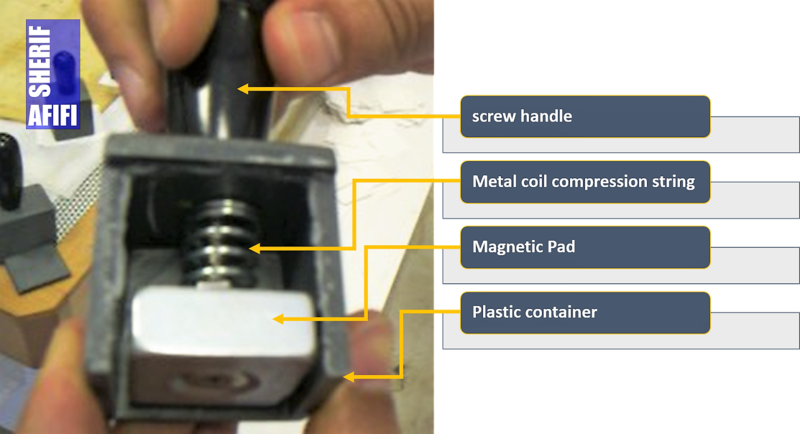 This picture (Fig 3) shows what is inside the magnetic press and its mechanism. the screw handle controls the magnetic pad level through the metal coil compression string. Hence, this is how conservator controls the strength of magnetic pressure on the parchment, and to eas the process of removing and adding those magnetic presses on the metal table.